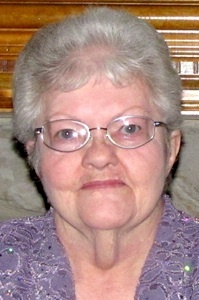 Carol Ann Hite, 73, of Olathe, KS entered glory on February 16, 2017. Visitation, Sunday, February 19 from 4-6pm at Olathe Bible Church, 13700 W 151st St, Olathe, KS, followed by a Celebration of Her life on Monday, February 20, at 10:00am at the church. Carol was born on July, 20th in 1943 in Colorado Springs, Colorado to Carl and Patricia Phillips. Carol’s family was an Air Force family and she attended school in numerous states throughout her childhood, graduating from Lincoln Southeast in Lincoln, Nebraska and would go on to attend college at Oklahoma University. After moving to Johnson County KS, she met and married her husband Kenneth Hite on December 7th, 1968. Ken and Carol would be blessed by their life work and ministry together, Christian Book and Gift Stores, based in Olathe, Topeka and Lawrence, Kansas. Carol loved her job in bookkeeping, she would work passionately alongside her husband for 32 years. She and Ken would eventually retire in 2008. Carol was preceded in Death, by her father Carl Phillips, her mother Patricia Phillips, brother Lawrence Phillips, and sister Judi Caponetto. Surviving are her children, Eric Hite (Melanie) and Barbara Guinn (Dan), and her five grandchildren, Shawn Hite, Jacob Hite (Jade), Daniel Guinn, Nathan Guinn, and Ashlyn Guinn. In lieu of flowers, Carol and the family have requested that donations be made to Olathe Bible Church Missions.